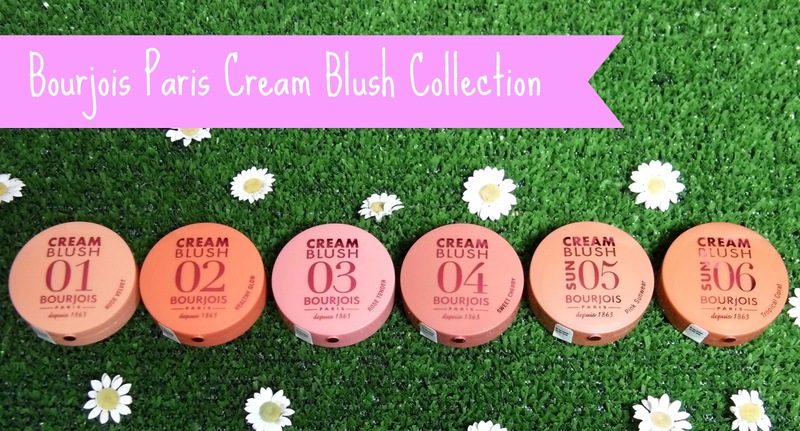 I recently got super lucky and won the whole Bourjois Paris Cream Blush Collection during a twitter competition Bourjois held. I don’t ever tend to win things so I was super excited about this! Now I have to admit I have never used a cream blush before, I am more of a powder girl. I was once told that powders work better on younger skin and have kind of stuck to those guidelines. I also like a natural look so find powder easy to blend in where I kind of assumed a cream would stand out like a sore thumb. Oh how dumb am I?! I’ve been pleasantly surprised at how much I adore these creams! I use a contouring brush to apply them which I find means I don’t end up with too much on my face and it’s much easier to blend in. If you want a bolder look you just layer on the cream. It is really soft on the skin too, I was worried they may be oily and I can sometimes suffer with dry cheeks, so I thought it maybe an awful mix! However they aren’t oily at all, wahooo! It has a lovely creamy consistency which turns into a powder when buffed in. You know when you use a powdered blush, you pop it on first thing and by midday your cheeks look pretty bare again?? Well not with these folks! They stay put for most of the day which has really impressed me! 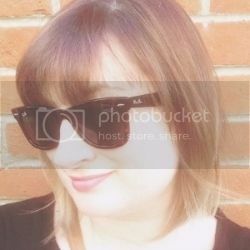 For a beauty blogger, I am pretty lame in terms of reapplying my makeup through the day, who actually has time to do that?! So here is my ugly mug, and I’m currently sporting 05 Pink Sunwear, which gives a fab natural sun kissed look. This has been a staple in my makeup bag this summer and I think its following into autumn as well! These fab little pots are easy to find, Boots sells them for £7.99. I think this price is pretty reasonable, you don’t need a huge amount each use so I can imagine them lasting quite a while. I will definitely be re-buying in the future as I’ve been so impressed by the quality! Do you use a powder or cream blush? Any tips for using a cream blush? I would love to hear them! Ah how fab that you won, and what a lovely prize! I've found that the staying power is brilliant, too. Although I tend to go for a really pink blush, the one you're wearing there is absolutely gorgeous, it really suits your skin colour. Those look very similar to Tarte blushes. Great post! PS. You're not ugly! I think you're gorgeous.